A new landscape installation is a creative process and a big investment for any homeowner or business. 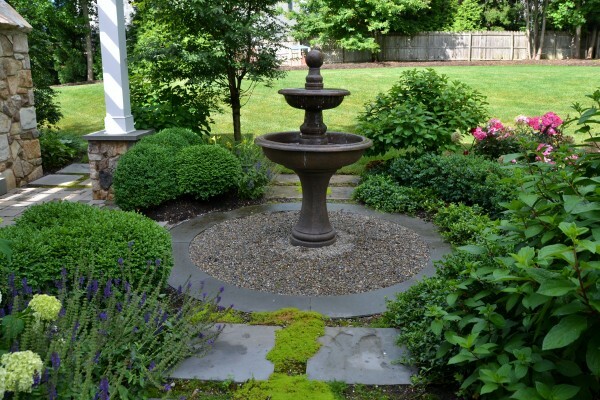 There are many steps and variables involved when creating a new outdoor space. Homeowners and business owners alike will look at a landscape installation as a way to improve curb appeal and add property value. However, every client is going to be unique and will have different ideas and desires depending on their own taste, nature of the backyard, and what works best in their lifestyle. When looking to add a new landscape installation project to your home, we always recommend working with a landscape designer or architect. Careful planning helps ensure no money, materials or valuable time is wasted. While every project is extremely unique, every project brought to life starts with the design. Working closely with a designer to help plan and sort out all these options and learning how to incorporate all these factors into the design, helps to streamline the landscape installation process. Depending on the size of your property and your budget, landscape installation projects can be tailored to fit your needs. With larger scale projects, often times there are proper permits needed and it is easier to bring in a professional to help assist in the process. For simpler, potted planters and garden fixtures there are many YouTube videos and resources available online for DIY beginner projects. Planting beds in the front of the home, intimate garden spaces hidden on the property, seasonal annual planters in pots throughout the yard are all way to improve curb appeal and enhance your home. Working with designers helps in choosing colors to best complement your home as well as specimens that will thrive best on your property. Landscape installation starts with design, is completed with installing and is often followed up with a maintenance program to ensure the investment year round. The money, time and creativity that is put into any project should be cared for longevity. Proper pest control, proper irrigation, proper plant rotation and pruning all help to ensure that your landscape installation with thrive in all the years to come. Please feel free to contact us to learn more about the design, installation and maintenance phases for your next project. We will be happy to set up a consultation with one of our experienced designers or architects.